World TB Day is celebrated every year on 24 March annually to commemorate the date when Dr. Robert Koch announced his discovery of Mycobacterium tuberculosis, the bacillus that causes TB in 1882. This Day is observed to educate people about TB, its impact around the world. This annual observance pays tribute to the memory of Monsignor Óscar Arnulfo Romero, who was murdered on 24 March 1980. Italy become the first member of the Group of Seven (G7) major industrialised nations to join China’s ‘Belt and Road’ infrastructure project (BRI), which is inspired by historic, centuries-old trade routes. G7 nations consist of: Canada, France, Germany, Italy, Japan, the United Kingdom, and the United States. India’s deepest shaft cave Krem Um Ladaw was recently discovered in East Khasi Hills district of Meghalaya. The cave has 105 m deep shaft entrance passage. It was discovered during 28th edition of annual ‘Caving in the Abode of the Clouds Expedition’ that took place in February 2019. Its discovery comes one year after discovery of world’s longest sandstone cave Krem Puri in Mawsynram region of Meghalaya’s East Khasi Hills district. Overall 2019 expedition explored and mapped 12.3 kms of new cave passage. 8 new caves were also explored and mapped including revisit to Krem Shrieh (Tangnub). Krem Shrieh which was earlier explored in 2000 was now extended from 8,713m to 9,844m. The country’s largest lender State Bank of India (SBI) has raised Rs. 1,251.30 crore by issuing Basel III-compliant additional tier-I bonds. The proceeds from these bonds will help SBI to boost its additional tier 1 capital ratio to meet systematically important bank (D-SIB) criteria to which SBI is mandated to meet. The bonds with a face value of Rs 10 lakh each bears a coupon rate of 9.45 per cent per annum payable annually with call option after 5 years or any anniversary date thereafter. According to the Reserve Bank of India (RBI), India’s foreign exchange (forex) reserves surged by $3.602 billion to $405.638 billion in week to March 15, 2019. The surge was driven by rise in foreign currency assets, a major component of the overall reserves. Gold reserves rose by $38.9 million to $23.408 billion. The country’s reserve position with the Fund, too, increased by $12.1 million to $2.995 billion. 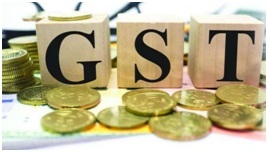 The directorate general of foreign trade (DGFT) has extended integrated GST (IGST) and compensation cess exemptions for goods procurement under advance authorisation scheme, export oriented unit (EOU) scheme and export promotion capital goods (EPCG) scheme of foreign trade policy 2015-20 to 31 March 2020. This decision is aimed at giving relief to exporters as they do not have to pay IGST at initial point itself. In the GST regime, exporters have to pay the indirect tax and then seek refund, which is cumbersome process. Rio Olympics silver medallist PV Sindhu was named ‘Outstanding Performer’ in women’s section while, Pullela Gopichand was presented the ‘Coach of The Year’ award and the Indian badminton team was the ‘Team of The Year’ and the Badminton Association of Telangana was awarded the ‘Association of the Year’. 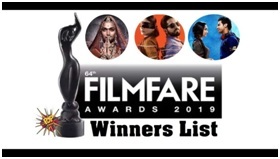 Members from all quarters of Bollywood got together to honour the best of Hindi cinema in 2018 at Jio Garden, Mumbai for the 64th Vimal Elaichi Filmfare Awards 2019. Peter, donates most of his salary to help poorer students, has been crowned the world’s best teacher and awarded a $1m prize, beating 10,000 nominations from 179 countries. According to the Asian Rich List 2019 released at the Asian Business Awards, Steel magnates Lakshmi Mittal and his son Aditya Mittal remained in second place, with 11.2 billion pounds- down 2.8 billion pounds. The healthcare industry’s apex body NATHEALTH appointed Manipal Health Enterprises Chairman Sudarshan Ballal as its president for the year 2019-20. He succeeds Fortis Healthcare’s Daljit Singh as the president. International Boxing Federation (AIBA) president Gafur Rahimov has resigned on the eve of the decisive IOC executive meeting. Mohamed Moustahsane, the head of African Boxing Confederation (AFBC) will serve as interim President of AIBA. The nation capital’s Indira Gandhi International Airport (IGIA) has now become the world’s 12th busiest airport, moving up four places from the 16th spot in 2017. The four airports above the IGI Airport are Amsterdam Schiphol, Paris-Charles de Gaulle, Shanghai Pudong and Hong Kong, managing over 46 lakh passengers more than IGIA. India became the world’s third-largest aviation market in terms of passenger throughput, behind the US and China, in 2018. The index has ranked 115 economies on how well they are able to balance energy security and access with environmental sustainability and affordability. The WEF stated that energy systems have globally become less affordable and less environmentally sustainable than they were five years ago, though access to energy has improved with less than 1 billion now living without access to electricity. Italy’s new Earth-observation satellite named PRISMA (Precursore Iperspettrale della Missione Applicativa) launched from the Guiana Space Centre by 98 foot (30 meters) tall Vega rocket which was developed by the joint venture of Italian Space Agency and the European Space Agency. Japan is one of WFP’s top donors and has so far contributed $958 million to UN-WFP y since 2014. State-owned Power Finance Corporation (PFC) has signed a share purchase agreement to acquire all 52.63 per cent shares of the government in Rural Electrification Corporation (REC) for about Rs 14,500 crore. Under this agreement, PFC will acquire 103.94 crore equity shares of Rs 10 of REC from President constituting 52.63% of paid-up share capital. With this PFC is now slated to become a promoter and the holding company of REC. 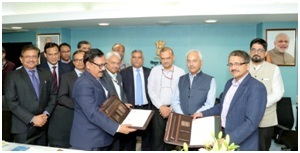 The acquisition will enable increased efficiencies in lending processes and policies across both institutions, and create public value by offering better loan products to the power sector. Indian Institute of Technology (IIT), Madras has launched data science-based ‘Superstats,’ to analyse Cricket games. Launched in association with ESPNcricinfo, Superstats is a combination of stats metrics – Luck Index, Forecaster and Smart Stats that uses data science for the first time to give a context to every event in a game and also venture into new territories such as luck and forecasting. Researchers from IIT Madras along with its incubated company Gyan Data acquired ball-by-ball database that has more than ten years of detailed data, and scientific methods, processes and complex algorithms based on machine learning (ML). The work was led by Raghunathan Rengaswamy and Mahesh Panchagnula. Former Chief Election Commissioner of India Navin Chawla’s book ‘Every Vote Counts -The Story of India’s Elections’was launched by former Vice President of India, Hamid Ansari in New Delhi. The book has been published by HarperCollins India. Sri Lankan limited overs captain Lasith Malinga will retire from international cricket after next year’s Twenty20 World Cupto be held in Australia. He would also quit one-day internationals after the2019 World Cup in England and Wales. He made his ODI debut in 2004, becoming thefirst to clinch two World Cup hat-tricks and the first to take three ODI hat-tricks. Kannada film industry’s Veteran Kannada actress L V Sharada Rao, who is well-known for acting in films like ‘Ganiamma’ (1983), ‘Vamshavruksha’ (1971), and ‘Adi Shankaracharya’ (1983) has passed away.